"After this past week, people in the Resistance are exhausted. Jeff Sessions’ forced resignation/firing as Attorney general has created a Constitutional crisis. Acting Attorney General Matthew Whitaker has argued against the Mueller investigation and is now overseeing it. This means the Mueller investigation is defenseless. Mueller must complete his work. Congress must act now to pass legislation that protects Mueller. We must stop Trump from destroying our Constitution and the Rule of Law. 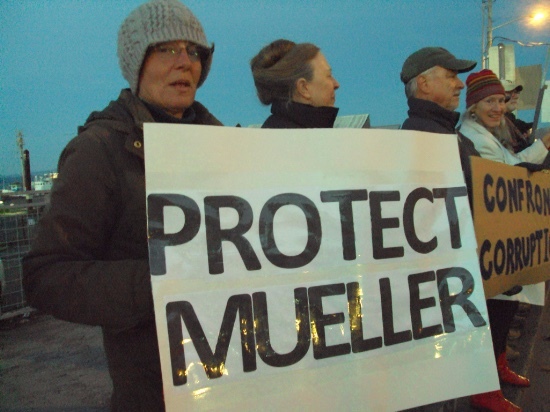 We must call AND email AND text/Resistbot our Members of Congress EVERY DAY until Whitaker recuses himself and legislation to protect Mueller is passed. Tell Your Members of Congress Trump is Not Above the Law. • The news about the Russia investigation changes daily. Trump could keep Mueller in place, but continue to undermine the probe by cutting funding, narrowing its scope, or degrading oversight. As of November 9, Democrats in Congress are contemplating a lawsuit contesting the appointment of Matthew Whitaker as Acting Attorney General to oversee the investigation. Tell your Members of Congress to back this lawsuit. Our lives should be defined by how we contribute to our communities—not by how much money we have. But a proposed new Trump regulation would ensure only wealthy immigrants could build a future in the U.S. The proposed policy expands the definition of a “public charge” to anyone in lower-income thresholds who has used section 8 housing, subsidized health care, etc. These people are paying taxes, and blocking these services to parents will hurt children. Please comment! Comments are due December 10. 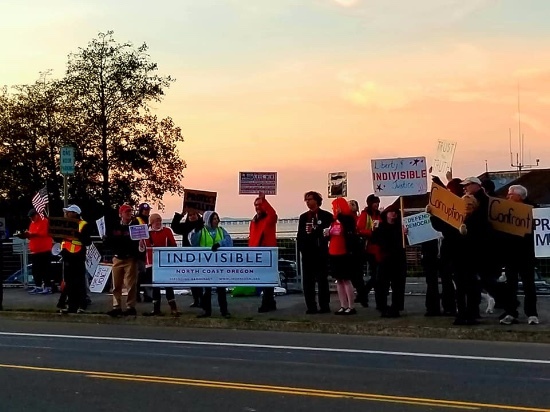 Enjoy this exciting interview about Indivisible's accomplishments and plans with Indivisible founders Leah Greenberg and Ezra Levin. Here's a great NY Times article about the important impact of our resistance. 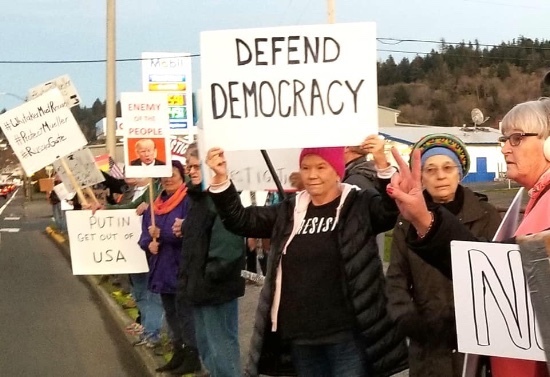 Protesting against the appointment of a Trump loyalist as Acting Attorney General, 150-200 people gathered on November 8 in Astoria to rally with INCO for the rule of law. 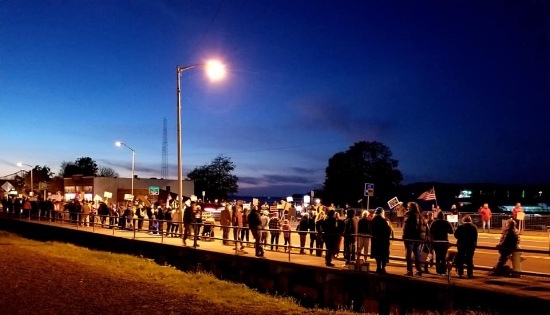 Our rally was one of hundreds around the country insisting that nobody is above the law. The new appointment threatens effective oversight of the Mueller investigation. Many experts, including some Republicans, consider this appointment a violation of the US Constitution because it is not being submitted to the Senate for confirmation. The appointee, Matthew Whitaker, has oversight of the Mueller probe, but has long been openly critical of it. The crowd - including several candidates - loved the Big Tent Election Night Party that INCO co-sponsored. 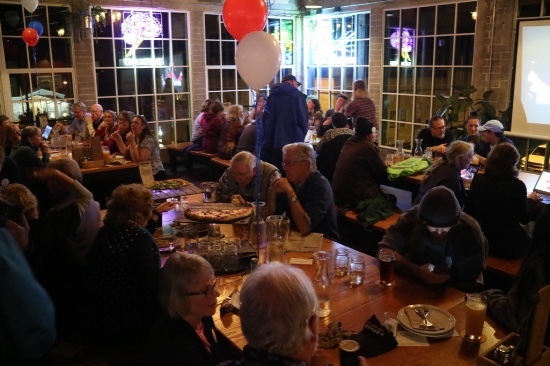 Celebrating election victories and regretting losses with good people and good food was a well-deserved treat for all who ran, campaigned, and got out the vote. MICHIGAN: A package of voting reforms including automatic voter registration, same day voter registration, no-excuse absentee ballots, straight-ticket voting, and election audits passed. MICHIGAN: Voters back a constitutional amendment to create a nonpartisan, independent redistricting commission. COLORADO: Voters pass two measures to create an independent redistricting commissions to draw state legislative and congressional maps. MISSOURI: The Clean Missouri initiative passes that requires a fairer redistricting process so that no one political party will have an advantage in drawing state legislative maps. UTAH: The Better Boundaries initiative passes that creates an impartial commission to draw voting maps and sets important standards to stop gerrymandering. CALIFORNIA: Local measures that set up independent redistricting commissions for municipal voting maps passed in Santa Barbara County and Long Beach. PUBLIC FINANCING: Local small donor campaign public financing programs passed in Denver and Baltimore, while New York City voted to strengthened their existing successful program. NEW MEXICO: Voters approve a constitutional amendment to create an independent ethics commission. MISSOURI: The sweeping Clean Missouri initiative mentioned above passed that includes provisions on transparency, campaign finance, ethics, and redistricting. NORTH DAKOTA: Voters approve an initiative to create an independent ethics commission, ban foreign money in North Dakota elections, ban lobbyists gifts to public officials, and increase transparency in state government. FLORIDA: Voters approved a constitutional amendment that creates new, important ethics rules for Florida’s elected and government officials and makes strong improvements to Florida’s lobbying rules. 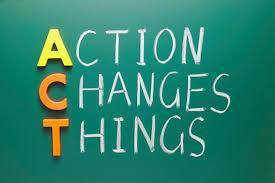 LONG BEACH, CALIFORNIA: A local initiative to create a municipal ethics commission passed. OVERTURN CITIZENS UNITED: Measures calling for a constitutional amendment to overturn Citizens United passed statewide in Massachusetts and locally in Wisconsin.